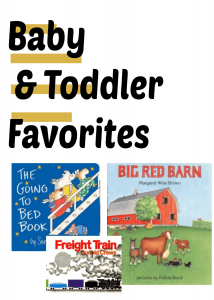 Big Red Barn by Margaret Wise Brown is poetic and has cozy illustrations for the many different animals that live in the big red barn. The Runaway Bunny by Margaret Wise Brown features a little bunny who wants to get away from his mother’s cuddling arms, but he can’t get away because her love is too great! Freight Train by Donald Crews traces the journey of a train as it goes through tunnels, by cities and over trestles. The Snowy Day by Ezra Jack Keats chronicles the adventures of a little boy named Peter as he has a fun day playing in the snow. The Going to Bed Book by Sandra Boynton features an assortment of animals as they get ready for bed, taking baths, putting on PJ’s, brushing their teeth and more. CML's youth services department helps grow readers and life-long learners. We offer storytimes, programs, reference assistance, reading recommendations, and more. We love serving a diverse community of kids and families.